Myzdegree.com is a Magento store selling car tyres online. Its greatest feature is a custom search that allows customers to look for tyres if they know the exact size or if they only know their car model. Suhail Abbas, our client, already had the idea for the search feature, and together we developed it further, worked on the designs and in the end created a nice-looking and easy-to-use Magento site. Since the main function on the site is the search, a lot of time was spent to design a beautiful and understandable workflow for the user. 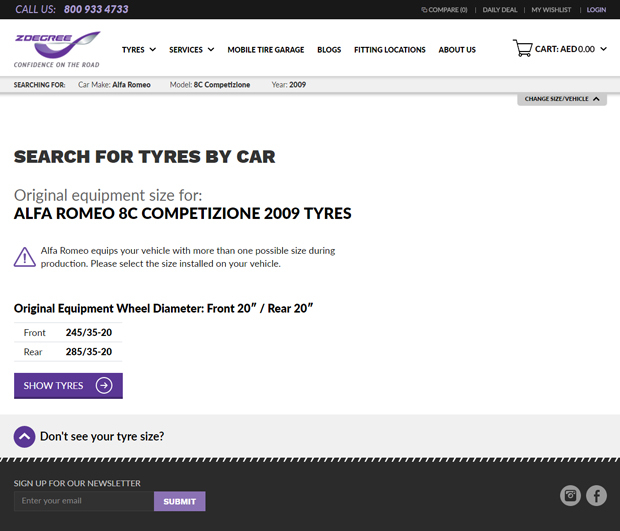 On the homepage, without any further ado, the customer can start looking for the tyres they need right away. We offer them two options: searching by size (if they know exactly the size they need) or searching by car. 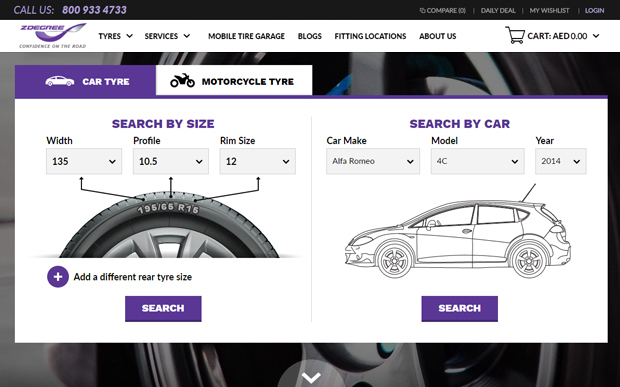 Search by size allows selecting different front and rear tyre sizes in case you’ve got such a car, and the graphic element of the design gives a hint to the customer so that they know which parameter should be selected in which drop-down list. Search by car is more complicated than search by size and provides one more layer of interaction with the customer. After the car, model and year have been selected, the system displays tyre sizes recommended by the manufacturer for this specific car. If the suggested tyre size is OK, the customer will be taken to the search results page with tyre combinations by different brands. The same page is shown for ‘Search by size” search results. Tyres are paired in sets of 4 for same front/rear sizes or in sets of 2+2 for different rear/front size. The customer can choose if they want a set of 4 or just one of each size. 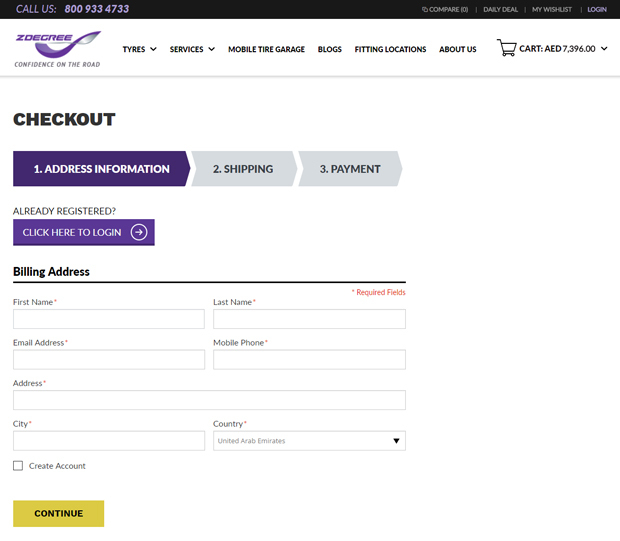 After the product has been added to the cart, the customer can checkout and select their preferred shipping method. 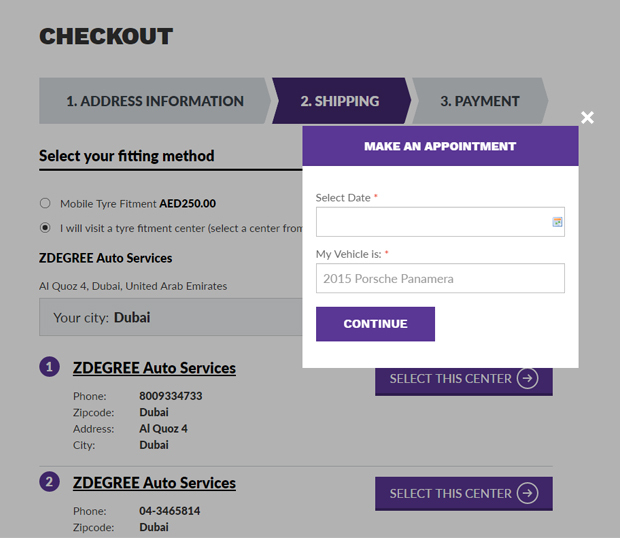 Tyrestreets offer complimentary service for tyre installation and customers can select this on checkout. After they specify their city, the system will show them a list of installation centers available with short details. Upon selecting an installer the customer will have to pick the date and specify which car they have so that people at the installation center can get ready. When the order is placed, the installation center will receive a notification from the store with information about the person and the car. Tyrestreets will send the tyres directly to the installation center, so the only thing the customer needs to do is to come to the center. 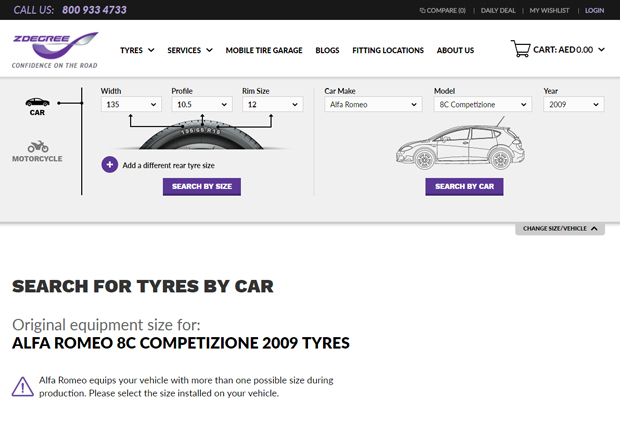 Magento community already has some extensions developed for this particular niche – car parts/tyres search. After carefully considering a few extensions we decided to go with a custom solution since none of the extensions satisfied the requirements of the functionality we aimed for. Since we are offering search of tyres by car we had to create a dependency table between the car/model/year and a tyre size which would come up in suggested tyre sizes page. 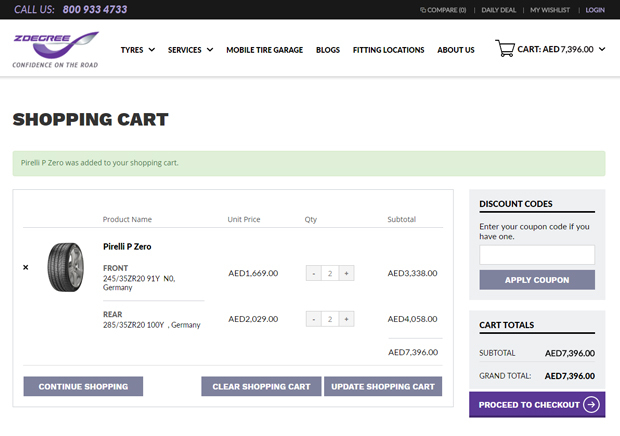 Tyre sets are set up as bundle products which we customized a lot to have a better usability in the frontend. 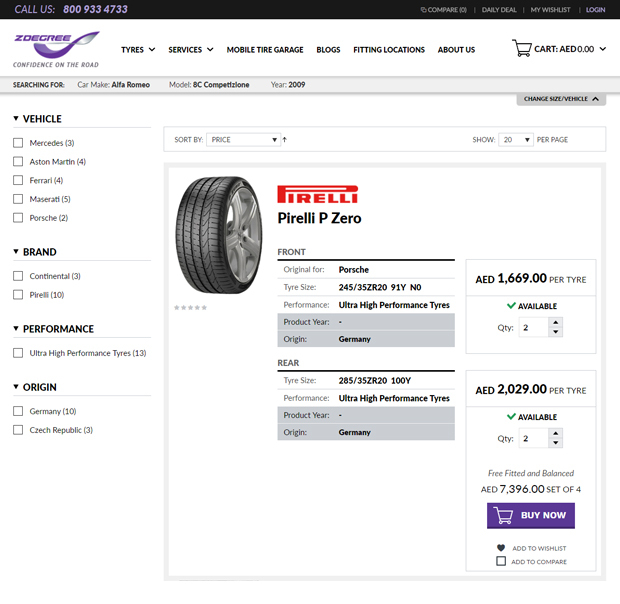 On the shopping cart page the customer can easily change the number of the tyres and see a detailed price breakdown. The shipping method to a recommended installation center was implemented using a Store Pickup extension by Magestore with some customization done to introduce our specific features. The module is very flexible and has a lot of settings in the backend. Lastly, instead of going with the popular one-step checkout we decided to try a three-step checkout workflow which guides the customer through the whole checkout process and doesn’t scare them with the abundance of fields to fill in. We are extremely satisfied with the way this project turned out. There are still things to improve and new features to implement, but the core functionality is stable, the site looks nice and is easy to use, and the client is happy. If you are thinking of building a similar site — we’d be glad to help.